The main basic chassis, concrete mixing drum, a driving force transmission system, responsible for the water supply device, taking full power, supporting the mixing drum before and after, the necessary speed reducer, hydraulic transmission system, feeding system, and a series of operating system etc. 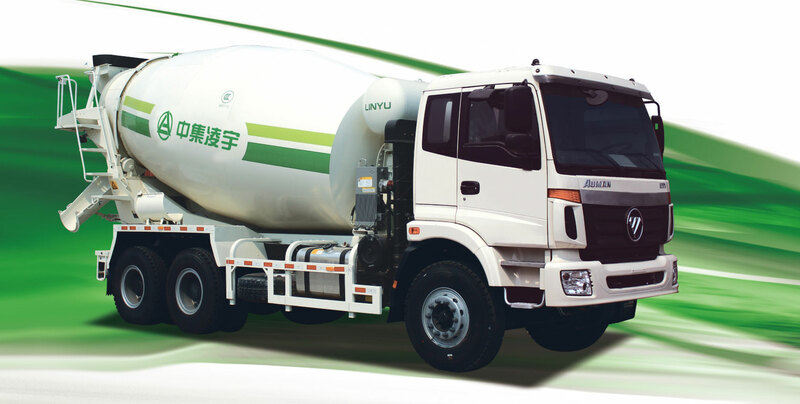 The main basic chassis, concrete mixing drum, a driving force transmission system, responsible for the water supply device, taking full power, supporting the mixing drum before and after, the necessary speed reducer, hydraulic transmission system, feeding system, and a series of operating system etc.. The working principle of the hydraulic pump to obtain power from the transmission shaft, which is driven by the overall chassis using high-power suction power take-off. The hydraulic motor is composed of hydraulic pump to obtain hydraulic, and the hydraulic energy into kinetic energy, by the speed reducer torque transmitted to the mixing drum, the mixing drum anyway turn and rotating speed is composed of servo hydraulic pump handle angle adjusting control, through which a series of mechanical activities, in order to achieve it's feeding, mixing and discharging function.